Approx Appraised Value: $75,000 Equity = $24,000 Rent = $700. 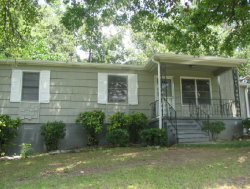 Property Details: Refinished hardwoods, New Carpet, New Interior Paint, New Fixtures, New Lighting, Great Kitchen, New Cabinets and Counter tops, New HVAC, Electrical updated, New Hot Water Heater, Plumbing updated and Good Roof. Property Management: 9% of Monthly Rent. Approx Appraised Value: $72,000 Equity = $23,100 Rent = $650. Property Details: Close to Schools, Shopping and Churches, Desirable East Lake Area, Minutes from the Downtown Business District and the Eastwood shopping area. Covered Porch, Fresh Exterior & Interior Paint, Refinished Hardwood Floors, New Tile Flooring Kitchen & Laundry, Ceramic Tile Bath, New Light Fixtures Throughout, Electrical & Plumbing Upgrades includes New Hot Water Heater and New HVAC. Property Management: 9% of Monthly Rent. 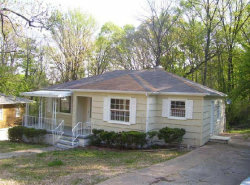 Approx Appraised Value = $85,000 Equity = $18,500 Rent = $ 750 Property Details: Located in the highly sought after Center point area; Within 1 Mile of schools; New fenced-in wooded lot; New exterior and interior paint; Refinished hardwood floors; New carpet in bonus room; Stove and Fridge; New lighting, electrical plugs, switches and panel box; Updated plumbing and fixtures. Approx Appraised Value = $80,000 Equity = $17,400 Rent = $ 725. Property Details: New Exterior & Interior Paint, Refinished Hardwood Floors, New Roof, New Tile Flooring in Kitchen, Electrical & Plumbing Upgrades, New Vanity in Bathroom, New Light Fixtures, New Hot Water Heater and New HVAC. 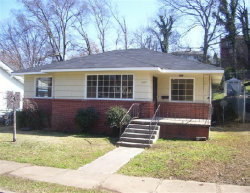 Location Details: Desirable Ensley Heights location near schools, shopping and churches; Easy Interstate Access. Local Property Management: 9% of the Monthly Rent. 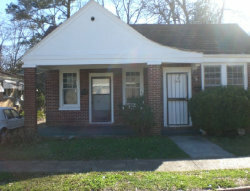 Landlord special, 4 bedroom 1 1/2 bath with a decent size yard, currently renting for $550.00 per month. 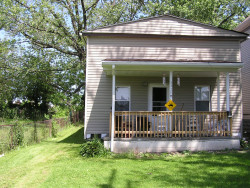 This property is selling as a package deal along with the property next door (Exterior photo included of 3129 W 68th St, 44102) It has 3 bedrooms and 1 bath. 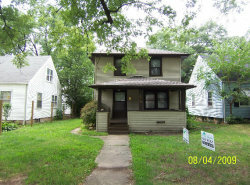 It also is currently renting for $500 per month, both selling for $21,994.00. 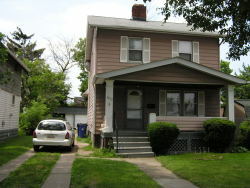 Landlord special, 3 bedroom 1 bath with a decent size yard, currently renting for $500.00 per month. This property is selling as a package deal along with the property next door (Exterior photo included of 3133 W 68th St, 44102) It has 4 bedrooms and 1/12 bath. 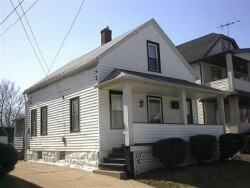 It also is currently renting for $550 per month, both selling for $21,994.00. 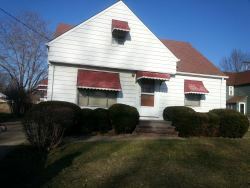 Make this 4b/2ba a cash flow investment, needs some TLC. It has Newer Furnaces, New Electrical Boxes, all New Windows, New Exterior Paint, water, electrical works, Roof OK. Entertaining all serious offers, asking $16,997 (ARV $44K). CASH ONLY! 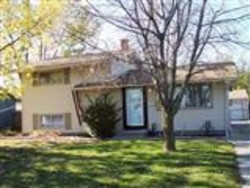 This is a Multi-Family Home located at 3553 East 116th Street, it has 4 beds, 2 baths, and approximately 2,212 square feet. 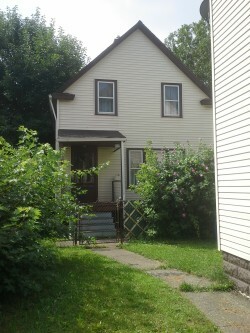 The property has newer (6yrs) vinyl siding, windows, electrical and roof is good. 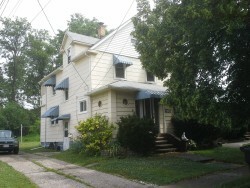 The upstairs is rented per HUD $400/mo (the rent up needs raised) and downstairs needs some TLC to get rent ready. 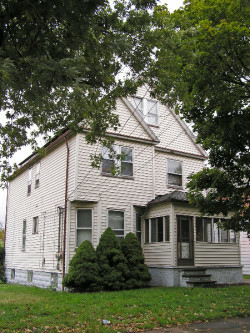 The property was built in 1924., is in the Mount Pleasant neighborhood in Cleveland, OH. 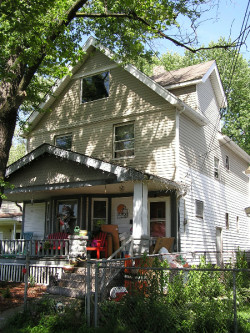 This is a Single-Family Home located at 3619 Poe Avenue, it has 3 beds, 1 bath, and approximately 1,021 square feet. Everything works, all it needs electrical box, 1/2 roof (3yrs.) and lots of TLC and can be rent ready for easily for $500/mo. The property was built in 1910. 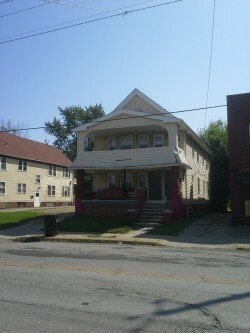 3619 Poe Ave is in the 44109 ZIP code in Cleveland, OH. The average list price for ZIP code 44109 is $72,847. 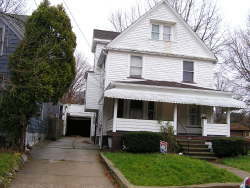 Total recent renovation Colonial with 2 car garage and fenced yard. Along with large 3 bedroom 11/2 bath, formal dining room and living room with decorative fireplace. Also, has central air (2005) and newer windows. Convenient to I90 and shopping. It's currently rented out to section 8 tenants for $650 per month. Must Sell ! for cash only. This is the home you have been waiting for, with 4/5 bedrooms, this Tudor style home is truly in move in condition. This Tudor home features central air conditioning, all new windows and flooring along with freshly painted walls. With a 2 car garage, vinyl siding and fenced in back yard makes this one of the nicest homes in the area. The fifth bedroom, which is on the first floor, can also be used as a media room or office. Make an appointment today to see this beautiful home. Seller is willing to pay 6% for buyers closing costs. Need a steady job with a 620 credit score to make this house your home! This 1048 square foot single family home has 3 bedrooms, 1.0 bathroom and a 2 car garage. All it needs is some major cleaning along with some new flooring and paint, everything in is working order. The nearest schools are Louis Agassiz Elementary School, Brooklyn Middle School and John Marshall High School. Good investment opportunity. Five bedroom double with a finished attic (3rd floor bedroom). Good working furnaces, new electrical boxes. Also, it has hardwood floors with newer 1st floor bathroom. Ready to go, just needs some TLC. 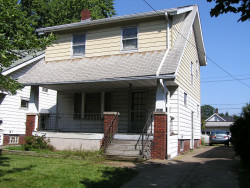 Check out this is a Single-Family House located at 5210 Behrwald Avenue, Cleveland OH. This property has 3 beds, 1 ½ bath, 1,378 square feet and all it needs is lots of TLC. It needs updated kitchen & bath along with a electrical box. The property was built in 1916. 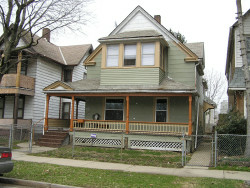 The house is in the Old Brooklyn neighborhood in Cleveland, OH. The average list price for Old Brooklyn is $77,202. This Single-Family Home is liveable, located at 875 Babbitt Road, it has 2 bedrooms, 1 bath, 2 car garage and approximately 864 square feet. The property has a lot of potential as all it needs is some updating. The major expenses would be a new furnace and a circuit breaker panel along with completing the attic for a 3rd bedroom; the lot size is 8,250 sqft and the house was built in 1956. The average listing price for similar homes for sale is $46,493 and the average sales price for similar recently sold homes is $103,090. 875 Babbitt Rd is in the 44123 ZIP code in Euclid, OH. The average price per square foot for homes for sale in 44123 is $35. 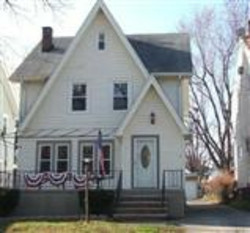 Approx Appraised Value = $65,000 Equity = $15,500 Rent = $ 750 (Duplex Total per month). 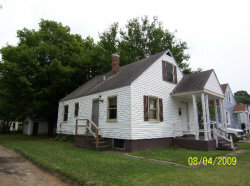 Property Details: English style brick home near schools and hospitals; Easy interstate access; Large back yard; Landlord pays water; Long term tenant (5 yrs); Separate Central Air & Heat; Fresh exterior and interior paint; Carpet throughout house; New flooring in kitchen and bathroom. Local Property Management: 10% of the Monthly Rent. 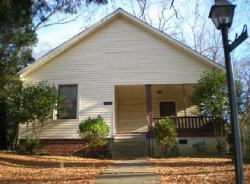 Approx Appraised Value = $78,000 Equity = $19,600 Rent = $ 650 Property Details: Nice Back Yard; Beautiful Hard Wood Floors; Large Wooden Back Porch; Good Size Kitchen with Two Closets; Carport with Large Storage Room Washer/Dryer Hookups; Very Quiet Street for Families; Central AC Unit; Roof Approximately 2 years old Furnished with Gas Stove and Refrigerator; New Interior and Exterior Paint; Refinished Hard Wood Floors; New Plumbing: New Railing on Front Porch. Property Management: 10% of Monthly Rent. *This Slavic Village 1714 square foot multiple occupancy Gem has 4 bedrooms and 3.0 bathrooms. Well Maintained * Newer Roof, new kitchen cabinets, updated bathrooms & newer furnace, Vinyl Siding/Gutters/Hot H20 Tanks * All Sep. Utilities * 3rd Floor In-law Suite* the nearest schools are Albert B Hart School, Cuyahoga Hts Middle School and South High School. This home is Totally Updated thru out, with a New Kitchen, Dishwasher, Skylights, Ceiling Fans, and New Flooring-Carpet & Paint. Tiled Shower with Glass, along with a Bonus Large Deck off the Kitchen and Dining Room for easy access. Also, this home has Central Air and a Private yard and 2 car Garage. Take advantage of the Easy Terms, Move in Now while waiting for financing to clear! Rent to Own Option! Easy Terms and Financing options from $857/Mo. Make us an offer! Approx Appraised Value: $48,000 Equity = $11,000 Rent = $625. Approximate Costs: $30/mo for ins. + $125/mo taxes + $60/mo prop mg + $259/mo P&I (using 7-1/2% on $37,997 for 30 years) = $474/mo. Approximate Cash Flow: $151/mo. Description of Improvements: (rehab not complete yet, will start soon) Newer vinyl siding, completely repainted inside, new carpet, updated kitchen and bathroom, new furnace and water heater. 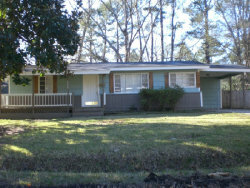 Local Area Details: Nice lower income neighborhood located near shopping, schools, churches. Please Note: 1. All properties come with a renter in-place or a rent guarantee if not already rented at time of purchase. 2. Homes come with a 90 day mechanical warranty. We focus on providing homes that will provide years of reliable service. 3. Property management is provided free of charge for the first 90 days, and then 10% of rent thereafter. Approx Appraised Value: $45,000 Equity = $10,000 Rent = $600. Approximate Costs: $30/mo for ins. + $125/mo taxes + $60/mo prop mg + $245/mo P&I (using 7-1/2% on $35,997 for 30 years) = $460/mo. Approximate Cash Flow: $140/mo. Please Note: 1. All properties come with a renter in-place or a rent guarantee if not already rented at time of purchase. 2. Homes come with a 90 day mechanical warranty. We focus on providing homes that will provide years of reliable service. 3. Property management is provided free of charge for the first 90 days, and then 10% of rent thereafter.